The thing that makes Catastrophe work so well as a television series is that it is both so raw and real, and yet so funny and true to life. Love and marriage isn’t easy, it takes a lot of work, with a lot of bumps along the road, but it’s these bumps that bring out the true character of a relationship. It’s a little like refining metal; under intense heat and strain, the purity of the relationship comes through, and the slag and unnecessary bits get removed. 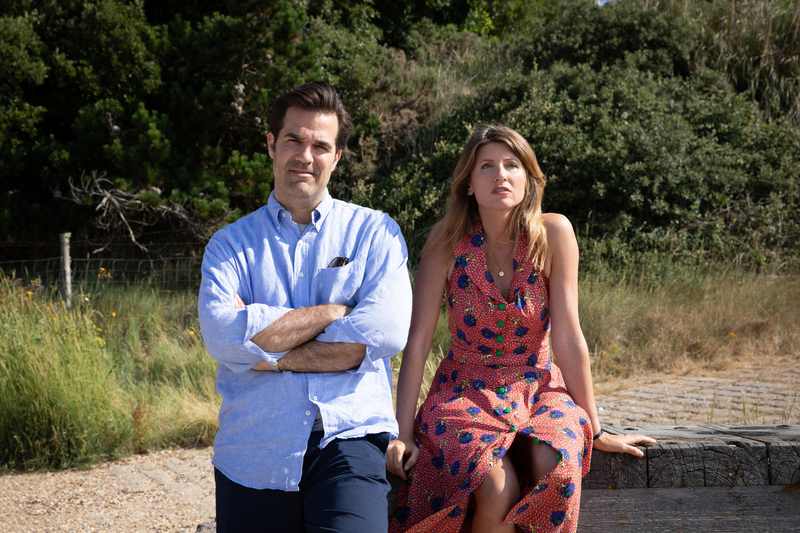 Don’t get me wrong, no relationship is entirely pure, and that is what makes the ongoing comedy Rob Delaney and Sharon Horgan squeeze out of Catastrophe so worthwhile. This season picks things up in the aftermath of Rob’s drunken driving incident, and finds Sharon unable to trust Rob about his drinking. She’s so wary of it happening again, that she basically stalks him while he’s doing his mandatory community service at a charity shop. With his driver’s license taken away, his only options are rides from Sharon, public transit, and the occasional rental bike. While Rob works on himself, Sharon finds the new headmaster at the school she works at creepy, possibly a sexual deviant, and knows her days are numbered there. While Sharon’s employment prospects seem precarious, the new head honcho at Rob’s work (Chris Noth) takes an instant liking to him, going so far as firing Rob’s current boss and offering Rob the position. It’s a big step up for him, but since Sharon knows a woman was fired so that Rob can have the job, it sours things for her at first. When Rob does the honorable thing and declines the promotion thinking Sharon would be proud of him, her desire to leave her own job, and the comfortable salary Rob would now have to make that possible, leave her upset he turned it down. It’s misunderstandings, and catch-22 moments like these that make the series so funny. 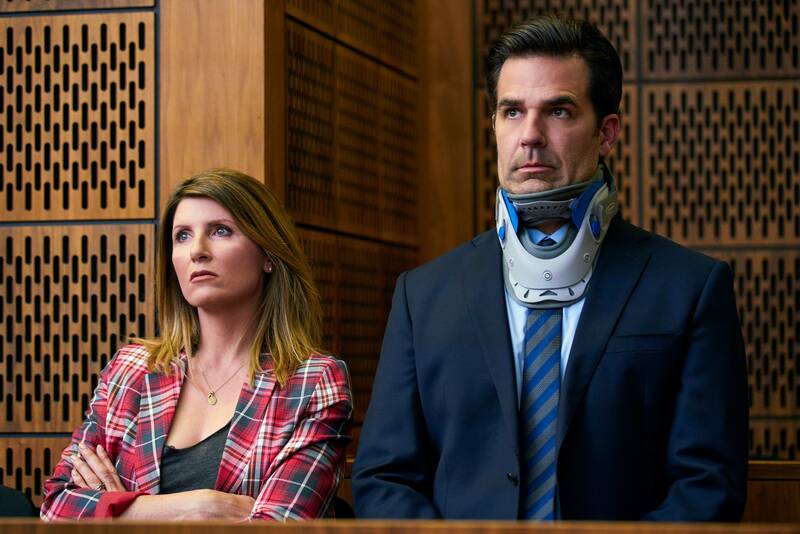 There’s always been a dark comedic edge to the comedy of Catastrophe, and this season is doubly soaked in tragedy. Carrie Fisher’s sudden death, she played Rob’s mother Mia in previous seasons, left a huge hole in the show and Rob and Sharon’s hearts. They dealt with the loss of Fisher by writing her character’s death into the finale, and the emotions on display during Mia’s funeral feel incredibly raw and real. On a personal note, Rob had recently lost a child to cancer right before the season started, so there’s a real sadness in his character that makes his return to the US for Mia’s funeral, and his reunion with his family, an emotionally healing moment. I don’t know how you go out and be funny with such a heavy and fresh tragedy hanging over you, but Rob and Sharon absolutely nail this season, and it’s a fine send off for the end of a series. The new opportunity Rob and Sharon embrace in the US, as well as a new chapter in their lives and relationship leave the audience hopeful these two continue to make it. From a drunken one night stand, to a meaningful relationship and family, the final moments set the tone for the series, as Sharon runs into the ocean for a swim, and Rob sees a sign that says: Rip Currents, No Swimming, and joins her anyway. That’s what relationships are, jumping into dangerous waters with a stranger hoping not to drown, but just be carried away together. 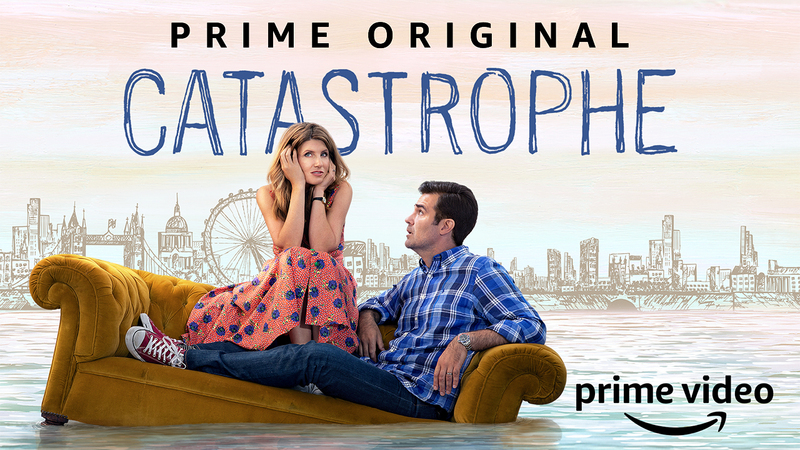 Read all of our reviews of Catastrophe here.